Winter was making its way into the park. As I was looking for the place to take pictures, I was thinking about a winter in the past when the snow really did not start falling until around New Year day. 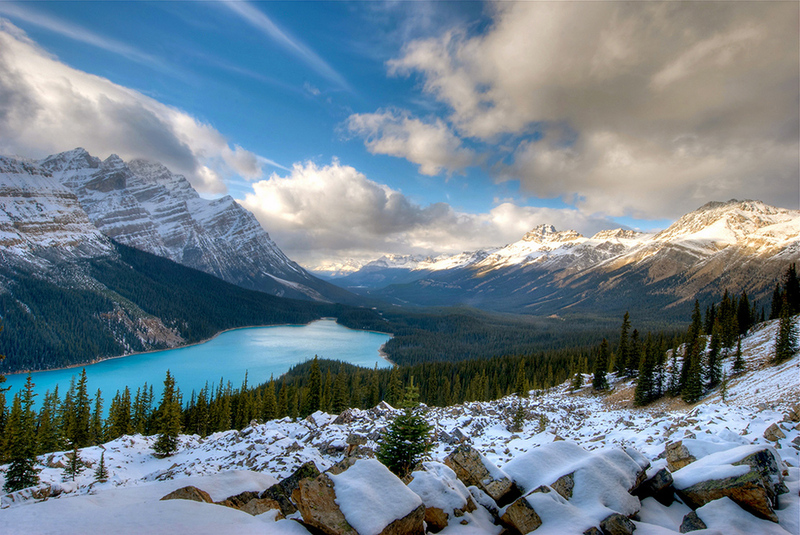 Walking on the shores of Peyto Lake, all covered by ice. Sounds were coming through the opening near the shores, thinking the sound that was being made was caused by some animal in the woods. But soon becoming wise enough to understand it was from air escaping from under the ice as water moved around. The year I took this picture, snow arrived in time.